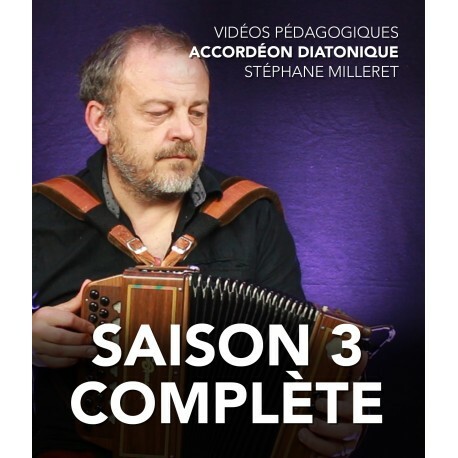 The third season of on-line instructional videos by Stéphane Milleret, from September 2018 to June 2019, comprises 10 twenty-minute episodes with optional English sub-titles. Each new episode comes out on the first Monday of every month. 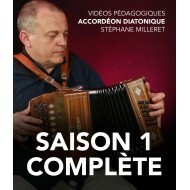 After two seasons devoted to repertoire, Stéphane has decided to get back to the basics of instrumental technique. New practice tunes specially composed for the videos are available right through the year. However the guiding principle is to encourage musicians to gain enough confidence to be able to use their technical knowledge in their repertoire. 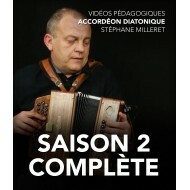 A genuine course in learning the button accordion, designed for average to more advanced accordionists, who seek technical advice and autonomy. All the episodes use a two-row, eight bass button G/C accordion.